I cannot see the sql server instances ,it says the server is not running. Any help? 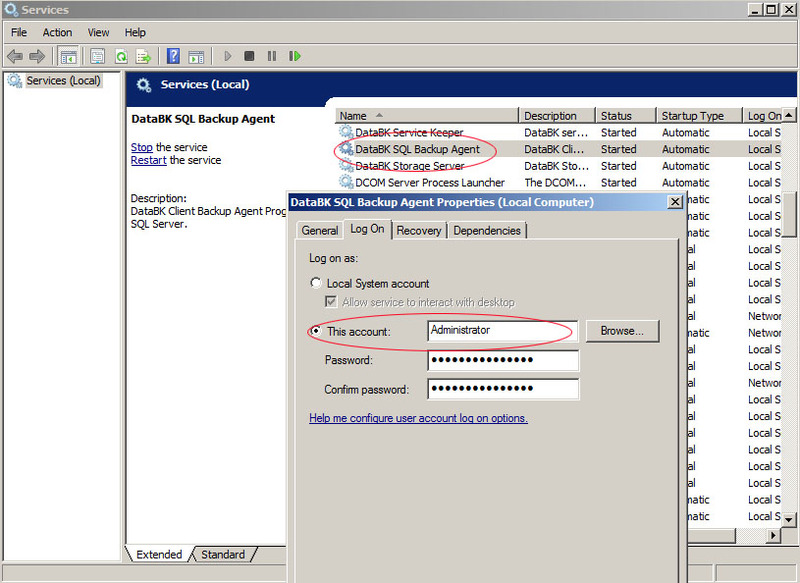 Default account for Backup Agent service is localsystem , this user may has no enough privileges to query sql server instances in your system, please change backup agent service account to new account ,such as "administrator" or other one, see the following file attached. If no user database listed in backup job editor window , please visit http://www.databk.com/no-user-db-listed.htm .